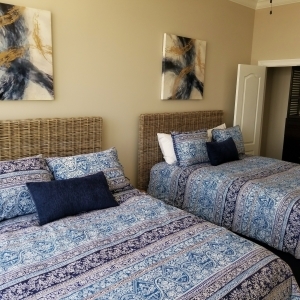 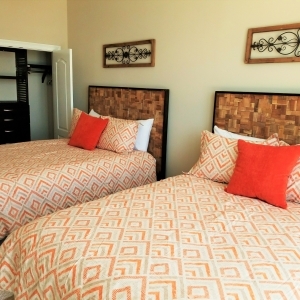 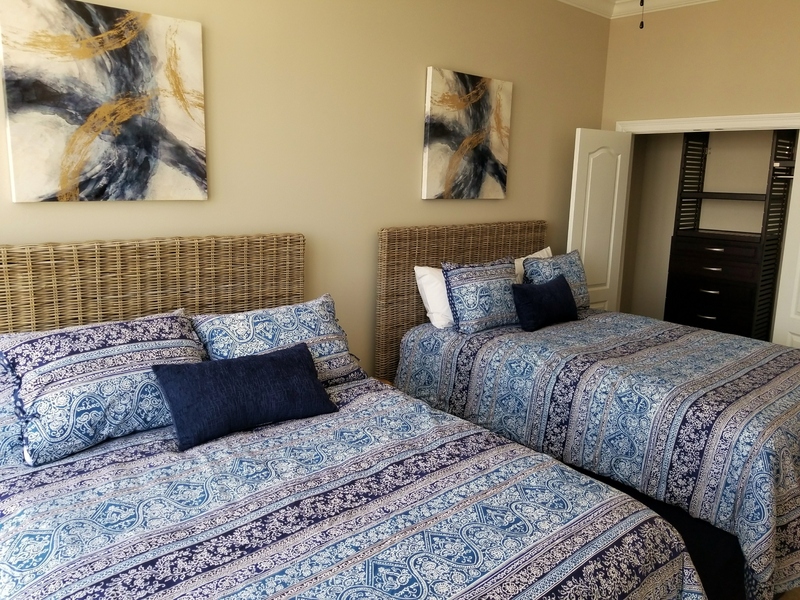 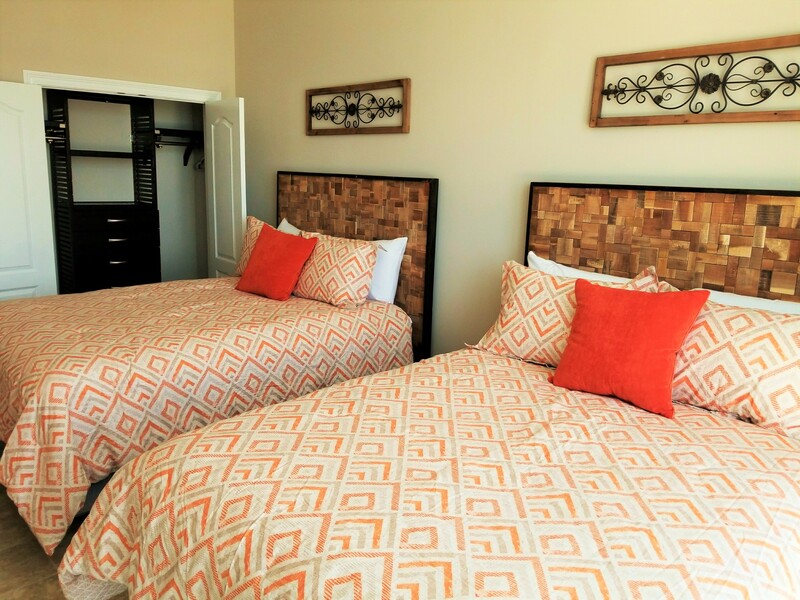 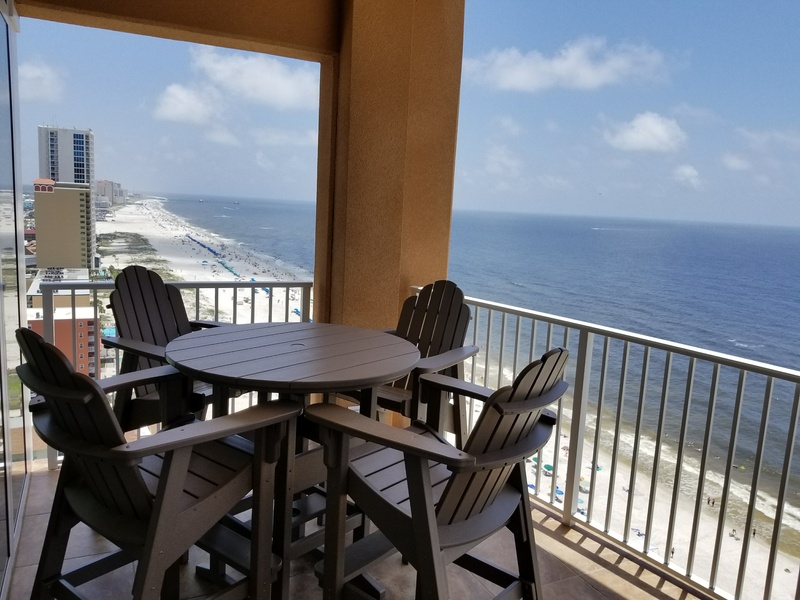 You will love our brand new Gulf Shores Beach Condo and have found ONE of the best condo rentals in Gulf Shores, Alabama! 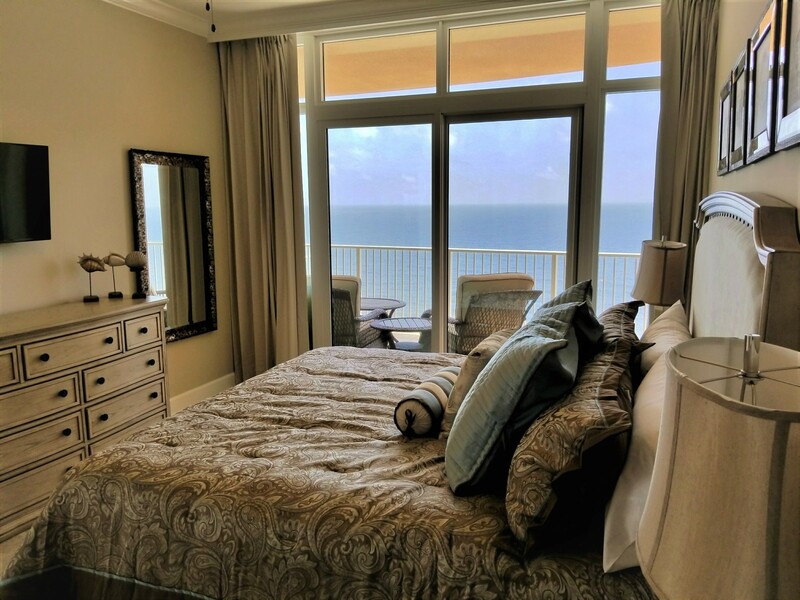 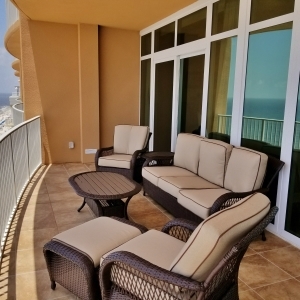 Paradise View II is a 4 bedroom, 3 bath condo is located on the 16th floor which provides spectacular views! 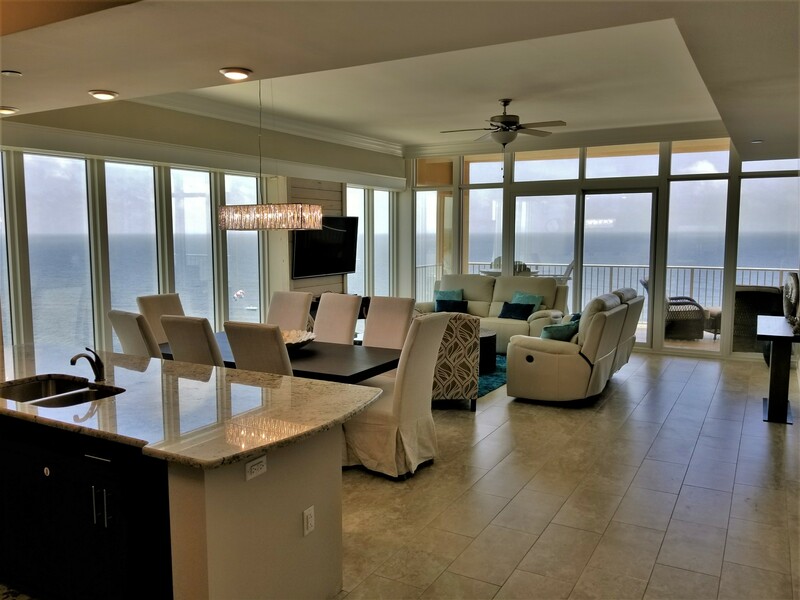 It offers amazing views from almost every room with the floor to ceiling windows and open floor plan! 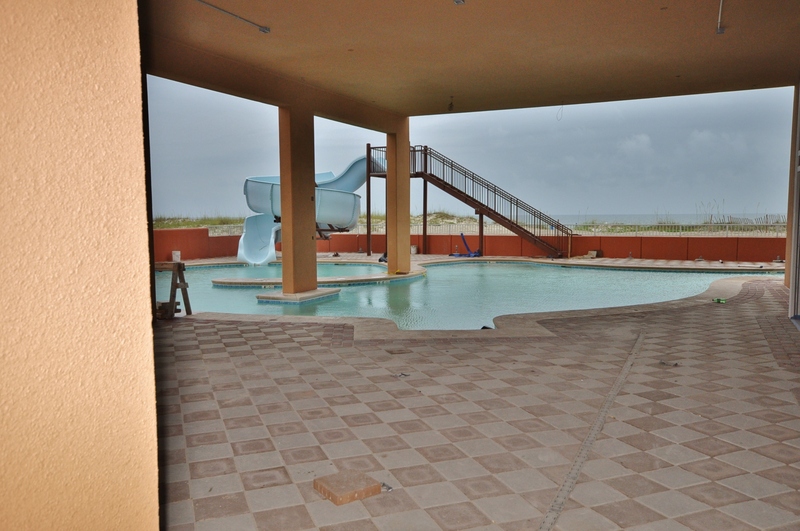 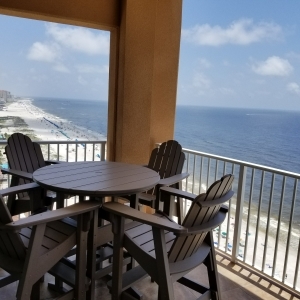 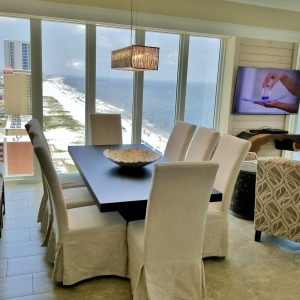 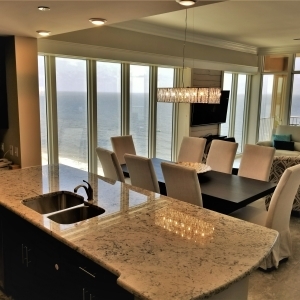 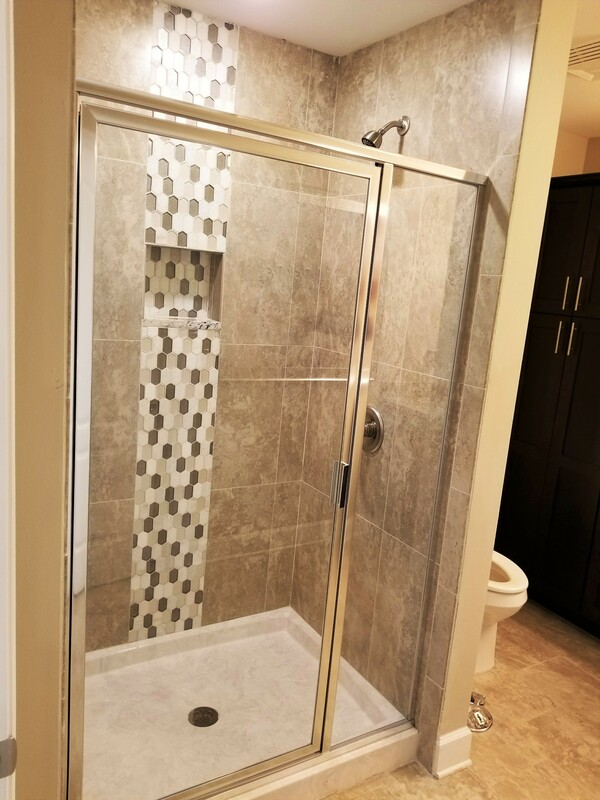 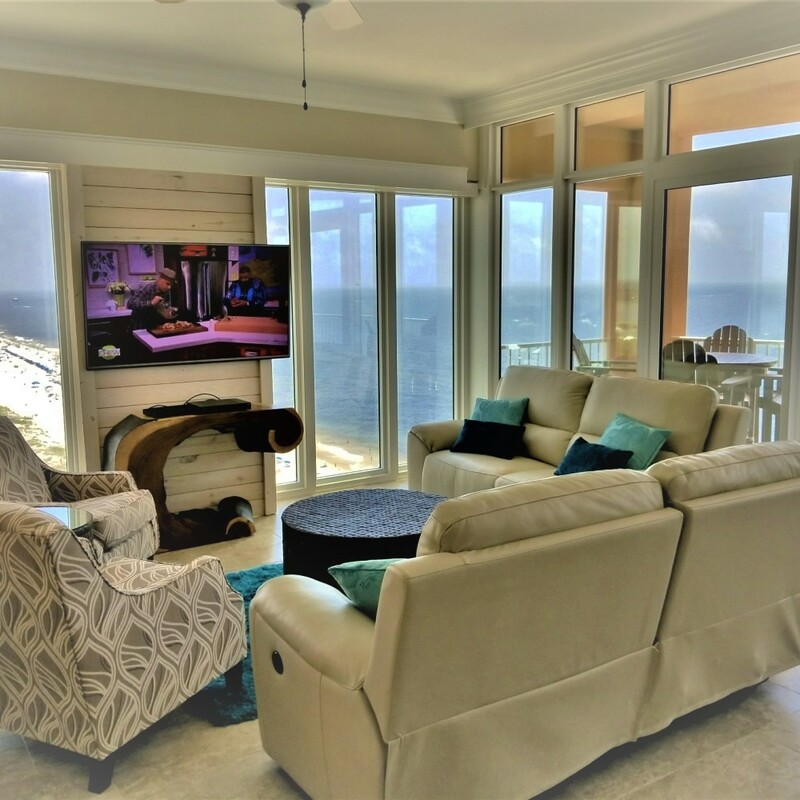 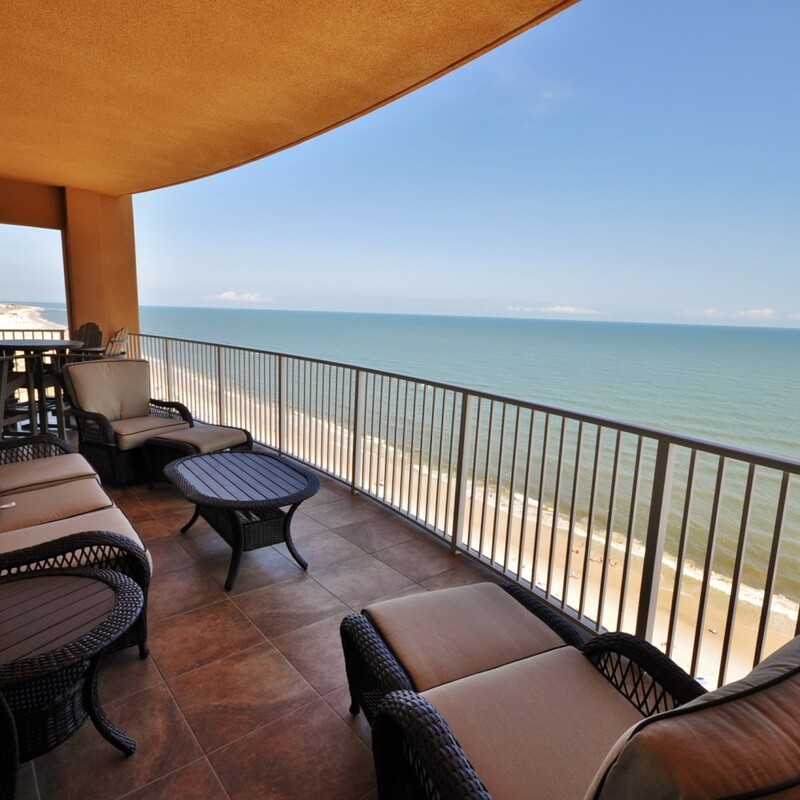 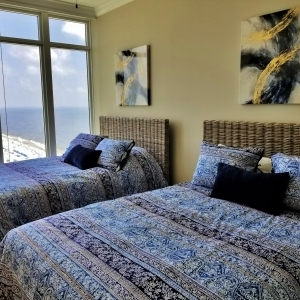 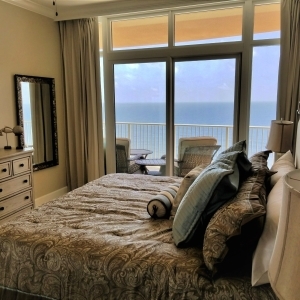 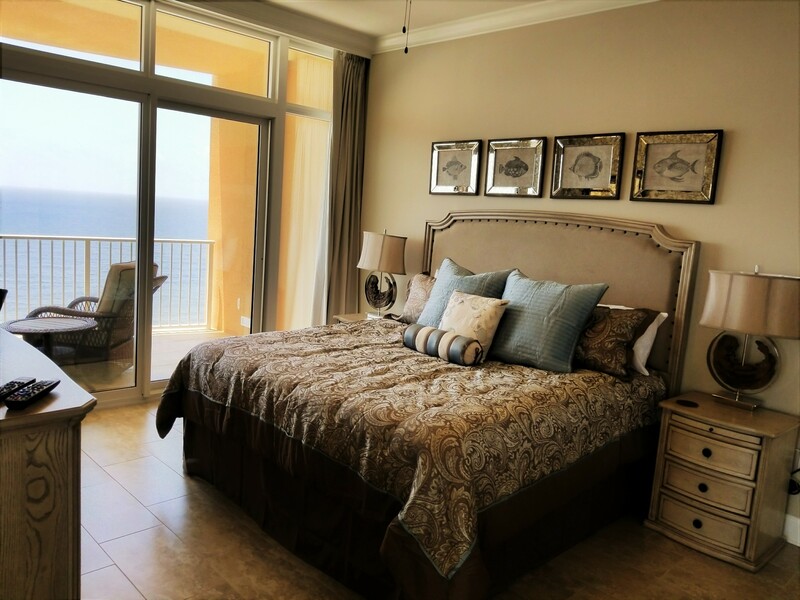 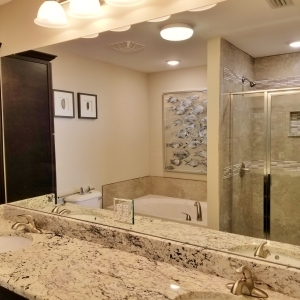 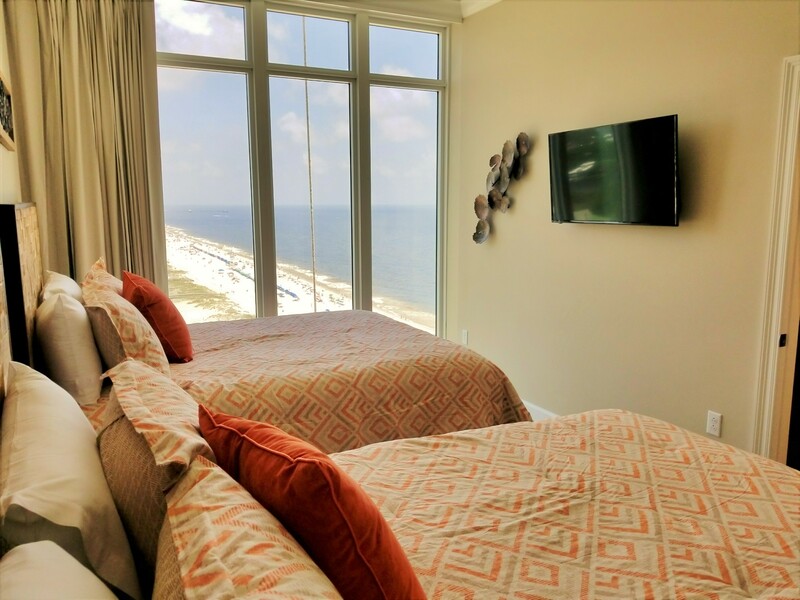 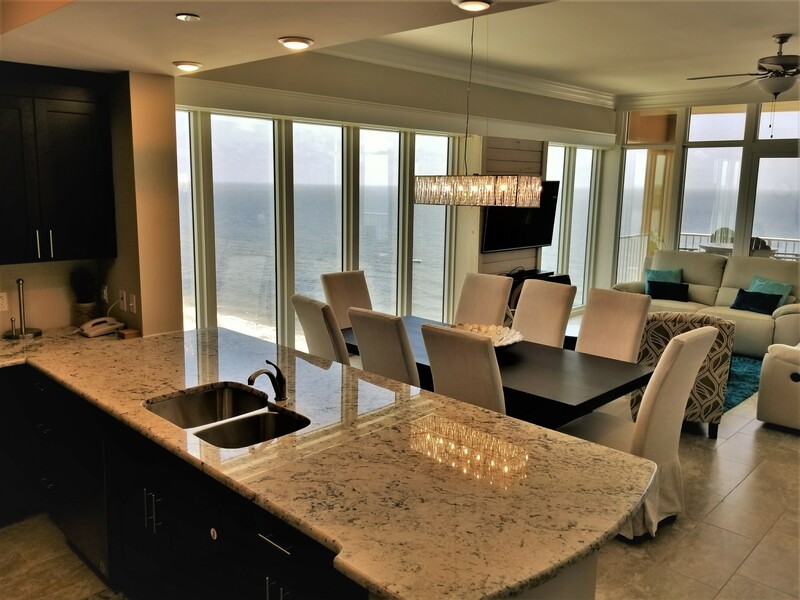 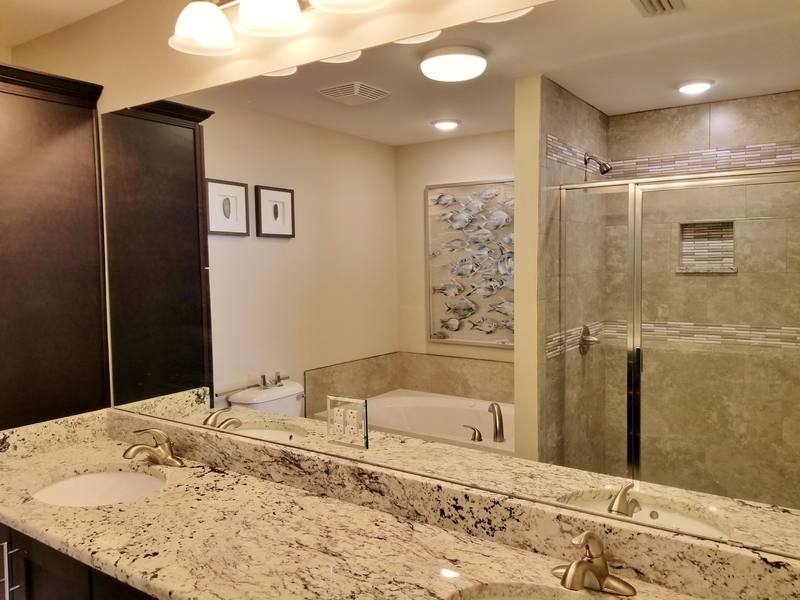 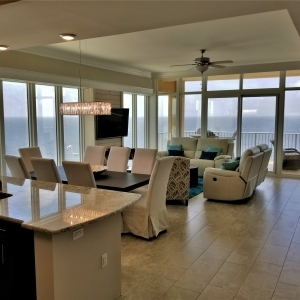 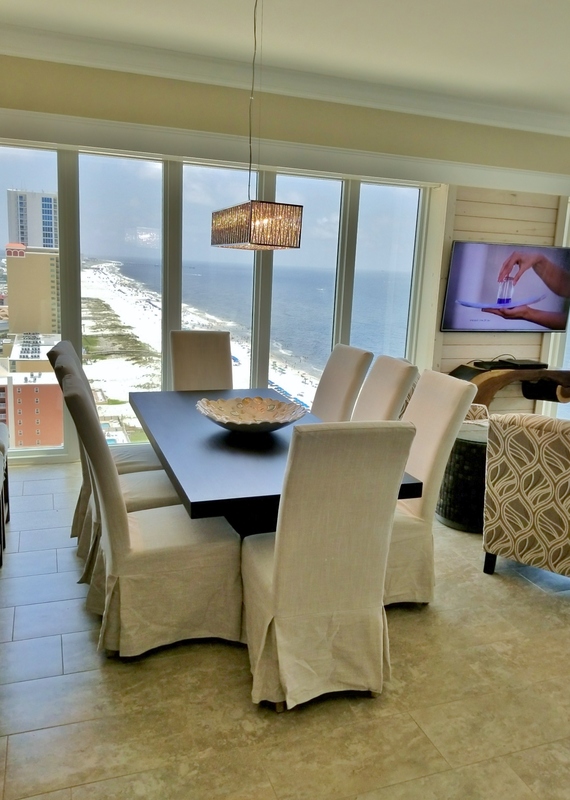 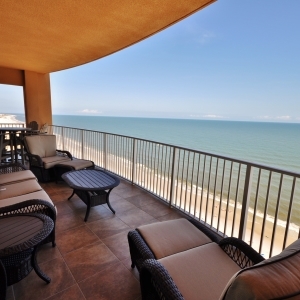 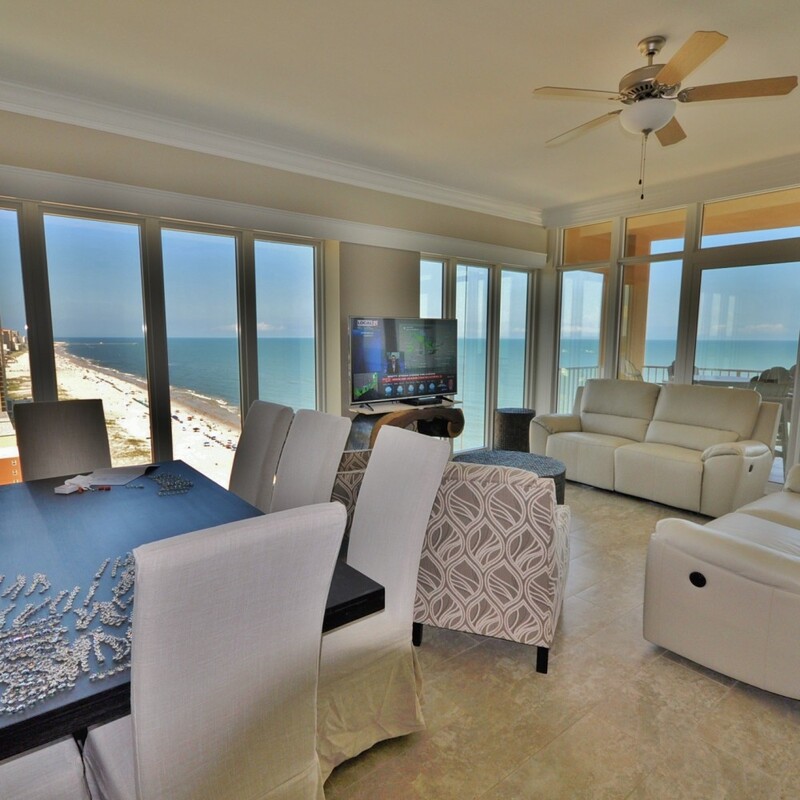 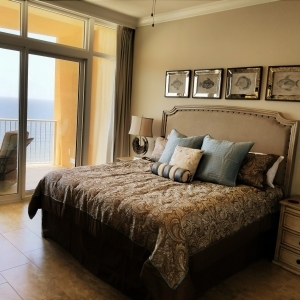 We have made changes that are unique to our condos, such as locating the TV on the outside Wall column to accentuate the beautiful views of the Gulf Shores and the Gulf Shores beaches! 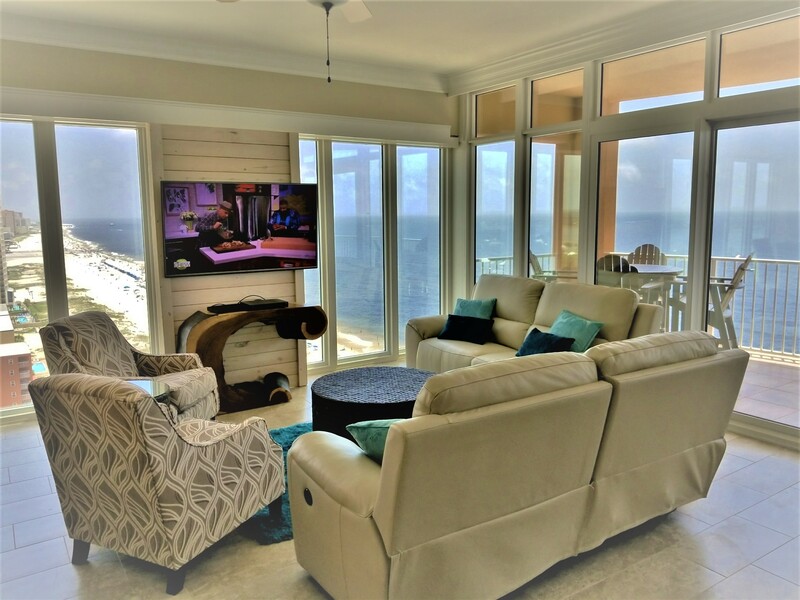 The living area comfortably seats ten people and you’ll love the 60” 4K television, complete with blue ray dvd. 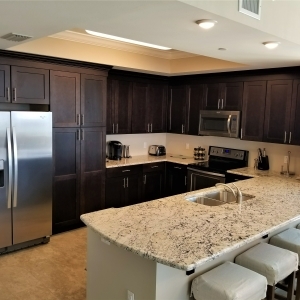 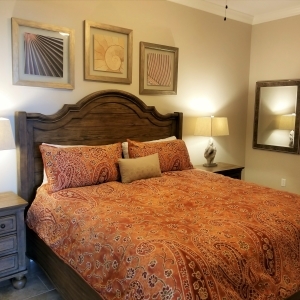 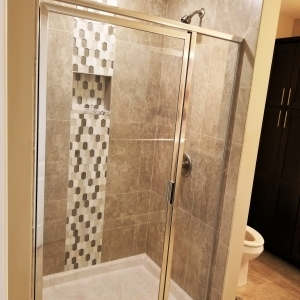 The gourmet kitchen is fully equipped and there is a washer & dryer in the unit for your convenience. 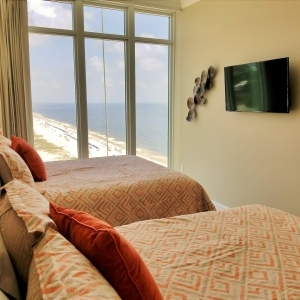 In my opinion, this is the best place to stay in Orange Beach. 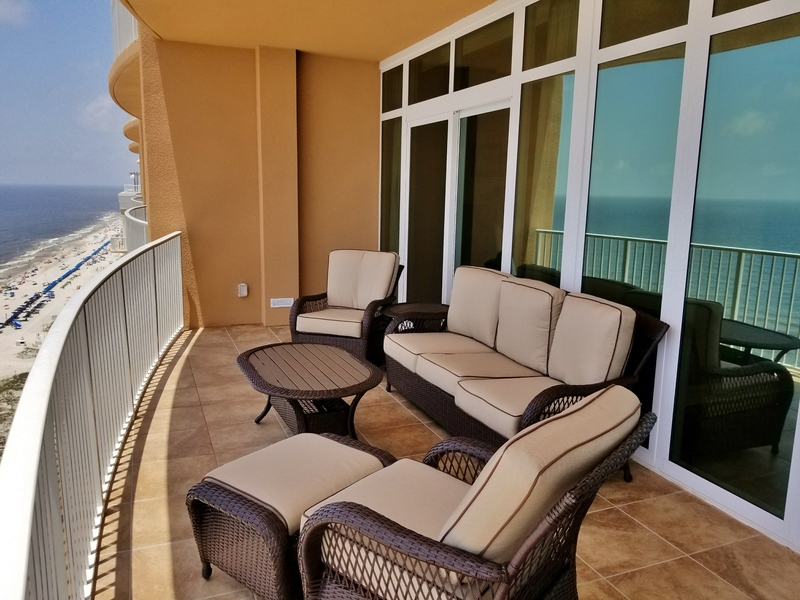 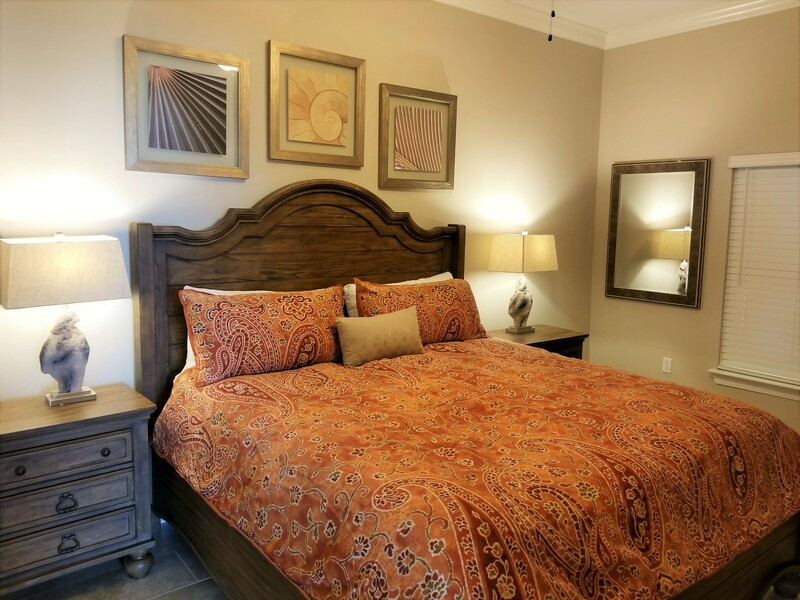 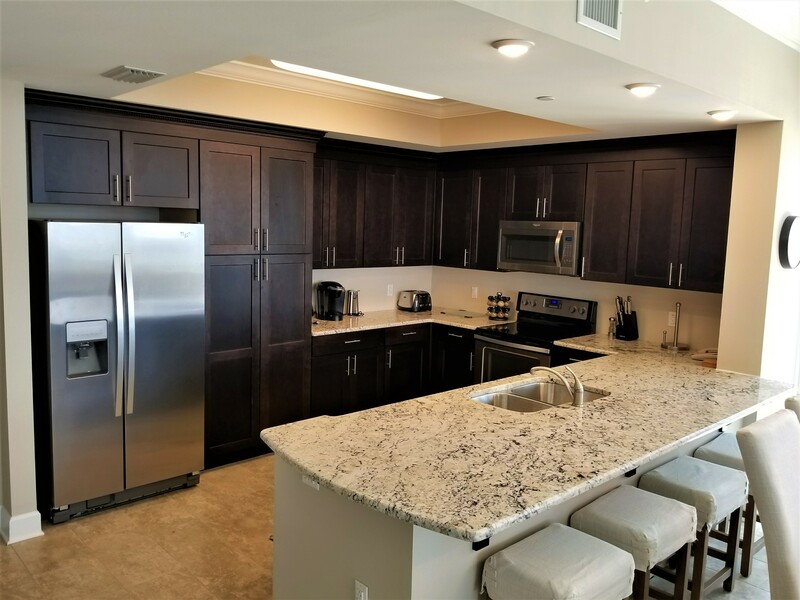 This condo has plenty of room, comfortable and stylish furnishings, a fully-equipped kitchen, and a large balcony with amazing views. 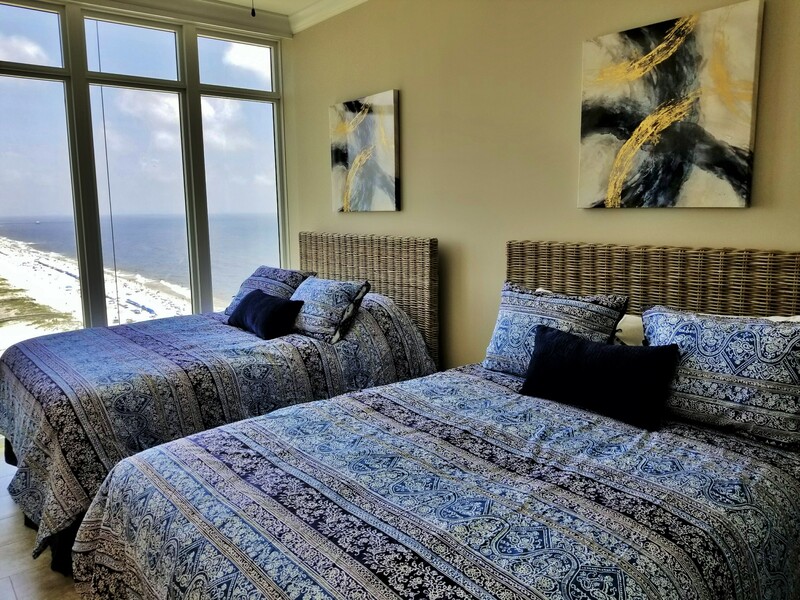 I have traveled all over the world and my stay at this condo in Orange Beach was the most relaxed and comfortable I have ever felt. 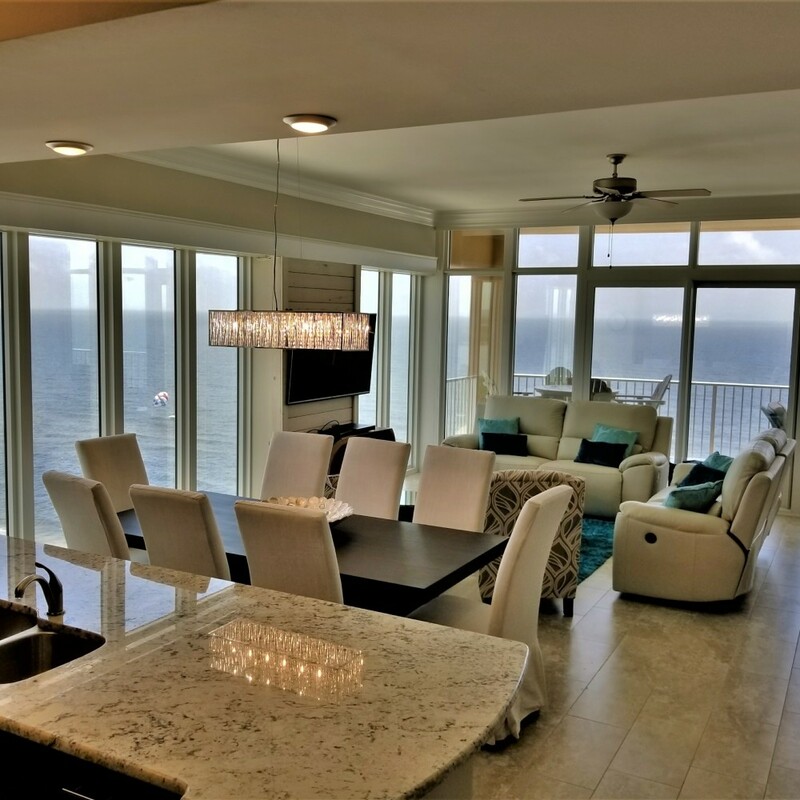 Beautiful decor and impressive amenities not to mention snow white beaches with incredible sunrises and sunsets to see from the large balcony. 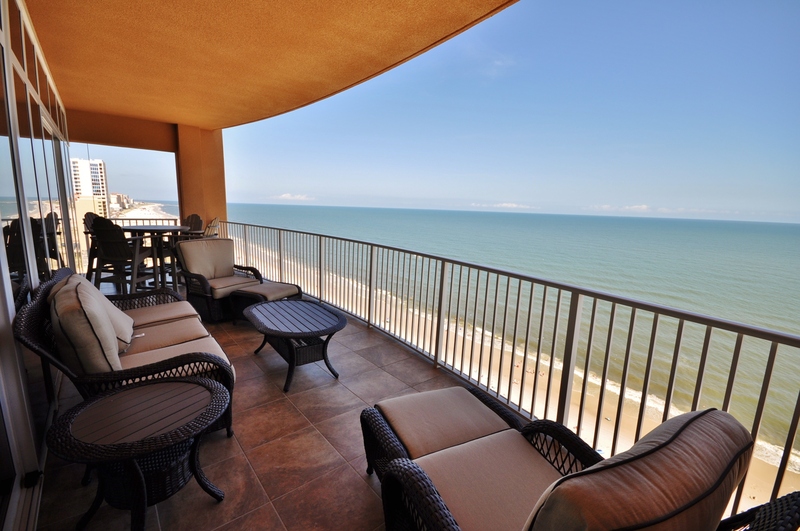 I’m already thinking of my next stay. 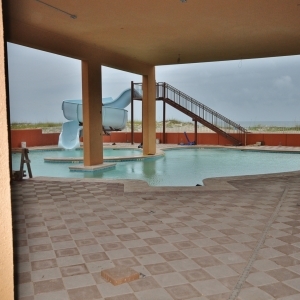 A much longer one this time.